Jane: Kat, You’ve had a varied career, which we’re going to hear more about, but what is your current role? Kat: I am the Chief Operations Officer within the company that is run by myself and my husband. It’s a slightly unusual place for me to have ended up – but I am not sure I ever really had a life plan, just a habit of responding positively to ideas as they arose! To be honest, I wanted to be a classical musician. I think I may have been promising, but family circumstance was such that it wasn’t easy to fund such an aspiration, regardless of how good I may have been. in the 1970s, without the internet or even a phone, finding out about finding etc was next to impossible. So aspirations were parked. I guess I assumed I would probably become a teacher, get married and stay in Wales…. not necessarily a bad set of assumptions, just highly unlikely in retrospect. What was your experience of education as a young girl? Did you follow a traditional route through school, university and then a job? I had a very very good education – but it wasn’t something that I participated in so much as had done to me. With little in the way of parental guidance in that area, I tended to just focus on what I was good at with little effort, rarely putting myself out of my comfort zone. As I got older I realise that I am infinitely more technically minded than would have been supposed (I was very good at Music and English) and it’s a shame that there was no expectation on me to focus on sciences etc. Schooling was definitely about making us employable, and I say that in a positive manner. People would leave at different ages to take up apprenticeships or undertake the civil service exams, very few were to go forward to university and if you did, it was in subjects with no surprises…the girls largely did arts and humanities, the boys science and engineering. What was your very first professional job? What lessons have you taken forward from that role? The first company I worked for was a company that produced a very specialist software that controlled projects (it was happenstance and was purely because of where I lived at the time). That was where I discovered I had an innate sense of logic, which I had thought everyone had. But because of the sort of company it was, it was also where I discovered that companies that ‘worked hard and played hard’ could be incredibly successful places and, in my early 40s when I got truly fed up of corporate life, it was that sort of company I hankered to be a part of. It was full of very clever, off the wall characters who loved to take Friday afternoons off to do something more fun, but who would all bring in sleeping bags when it was important that something needed to be finished. You’ve worked in pretty much male dominated fields, have you experienced sexism/discrimination and, if so, how have you dealt with it? Oh lord – big time! How I dealt with it changed over the years however. When I was younger I either ignored it or gave it back in buckets, depending on the circumstance or my mood – I became someone not to be messed with. As I got older I found it increasingly tiresome and would be more likely to call it out for what it was, or just remove myself from the situation. Because of the line of work we are in (technical publishing in shipping) I can still find myself talked down to sometimes – but not for long! I think the biggest change is that when I was younger I tended to ignore casual sexism and would really only react if someone tried to put me down. I am a lot angrier and more militant about it all in a conceptual sense now, but mildly amused if someone tries to use it directly against me! You have some strong views on how businesses can be run for the benefit of all. How has that translated into what you do at Witherbys? We have tried to ensure that Witherbys is a company that not only pays people appropriately, but treats people appropriately and encourages them to recognise how privileged we all are and to give something back. We try to be a company with a social conscience that engages with its local community – and if we can have fun doing so, all the better. I am not comfortable with the ‘bosses and workers’ atmosphere of many companies, and I used to hate how invisible the admin staff were within professional organisations – so we try to recognise that every job within our organisation is necessary and so is the person carrying it out. Of course we have a structure within it, which is necessary for efficient management, but first and foremost we are a large group of people who spend a lot of time together and that has to be recognised and treated with importance. I think we get it right most of the time – but you would have to ask one of our staff to get the real answer! I know after reflection and careful thought you were very much in favour of Scottish independence. How do you think Brexit will affect the union now? I am frankly horrified at the turn that the UK has taken – Brexit is such an innocuous word for such a fundamentally stupid action. But worse was the underpinning racism borne of the hopelessness of many in Britain who feel dispossessed, unrepresented and out of control, which some politicians relentlessly took advantage of during the referendum campaign. 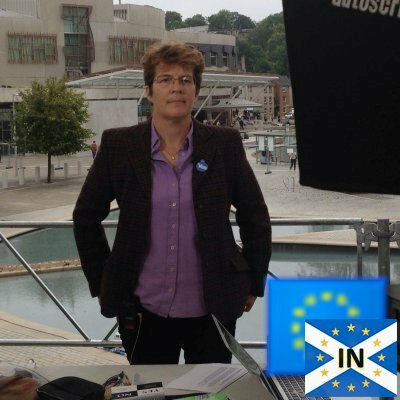 My support for Independence was borne out of a belief in smaller groups working within federated environments – a bit like you see in the States and the Scandinavian Bloc…but it was also triggered by a Scottish Parliament that seemed more comfortable with the realities of immigration, an ageing population and a need to create aspiration. On the topic of Scottish politics, it was hugely pleasing to see Nicola Sturgeon making gender equality a firm commitment. Do you think that has impacted on Scottish life? Can you see the benefits of that, or is it too early to tell? It was good to see – but I think we are a long way off equality just yet. It’s too early to see the benefits – but its a real pleasure to see her to brush off the sexism with the weight of her intellect! If you could introduce one piece of legislation, (or effect a significant change using existing legislation), into the UK as a whole to improve equality what would it be? I would reduce the ‘normal’ working day without reducing the standard of living (ie by increasing the minimum wage substantially and enforcing maximum hours legislation while encouraging firms that really don’t need it to reduce from 8 hour working days to 6)—— productivity would soar! Who has had the most influence on you, personally, professionally, or both? ‘an intellectual hooligan who wore her intelligence on her sleeve and beat people over the head with it’!! He was also the person that recognised I had a very strategic brain and encouraged me to use it by dropping me into different parts of the organisation as a sort of trouble shooter. He would give me a short time to fact find then we would talk about what it meant and a way forward – he went on to become CEO of a very large corporation and credited me with teaching him how to think something through. If you could give some advice to women reading this about advancing in their careers, what would it be? To quote Ford…whether you think you can or you think you can’t, you will always be right. Sadly, many women defeat themselves by focussing on what they can’t do rather than what they can – its a particularly female characteristic! Oh, and never ever ever offer to book someone’s flight/fetch their laundry/pick up their lunch – unless they would offer to do it for you, or you are already their PA! Many thanks, Kat. If I ever think about getting a ‘proper’ job I’ll be at your door. It sounds like a great place to work. If you’d like to know more about Kat’s company this link will take you to the website for Witherbys Publishing Group.